Arthur Wardle (London, 1860-1949) was during his formative years largely a self-taught artist. Living amongst artists in Chelsea, London he benefited from the advice of friends and peers. A move to St. John’s Wood in North London culminated in Wardle’s developing an accentuated interest in the sketching and painting of animals and mythological subjects. 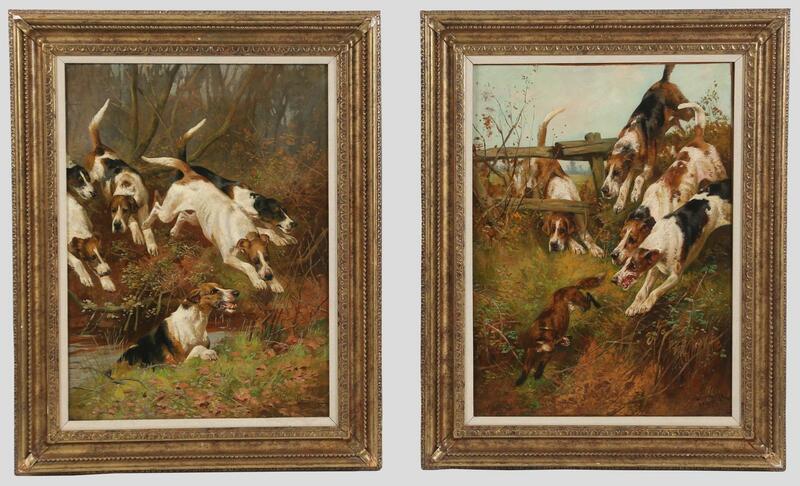 Wardle’s paintings of animals were widely praised by critics of his time. He enjoyed substantial financial success with his paintings of dogs especially, and one may assume that the group portrait here shown would have been afforded similar success.